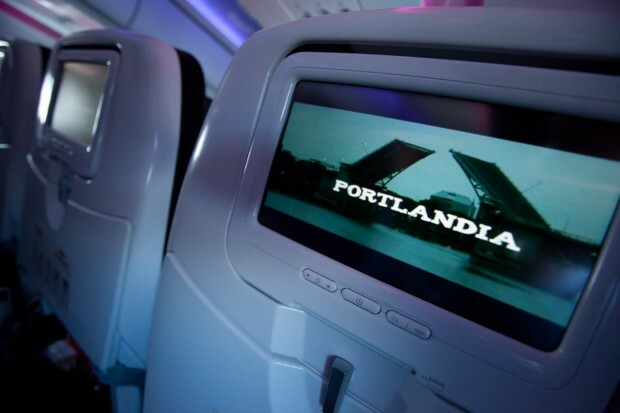 PORTLAND, Ore. — Virgin America on Tuesday launched its latest in a string of new routes, adding Portland (PDX) with service from both San Francisco and Los Angeles. 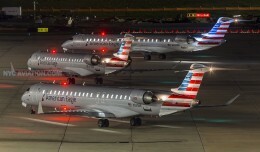 The route represents the 18th step in an aggressive expansion plan since the airline began operations in 2007. And of course what else would Virgin do to mark this momentous step but celebrate with another awesome launch celebration. 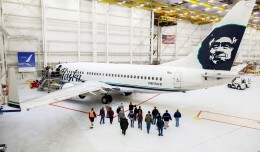 NYCAviation was on board for the inaugural flight from San Francisco and, true to form, Virgin pulled out the stops on a trip that was equal parts commercial flight and Hollywood production. 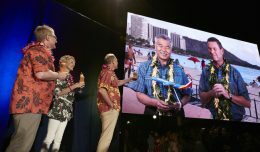 Festivities began early with an assortment of beverages and light fare at the gate, followed by speeches from the head of San Francisco International Airport’s head of communications Kandace Bender, Portland Mayor Sam Adams, Port of Portland COO Vince Granato, and Virgin America President and CEO David Cush. Click for 18 more photos! Boarding, normally slow and unremarkable, was instead loaded with excited faces and VIPs. 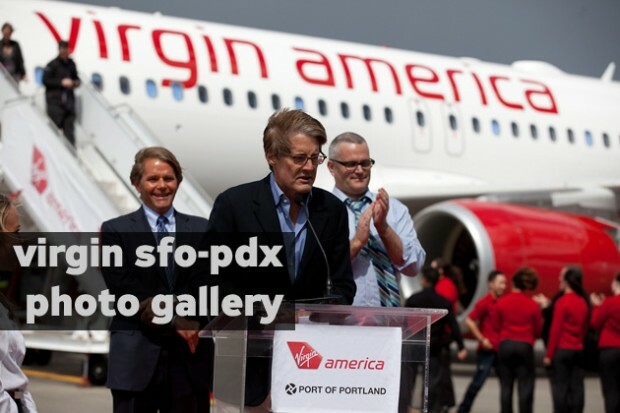 Regular passengers — some of whom came from as far away as New Zealand — rubbed elbows with Virgin brass and two Portland mayors while boarding (and for the rest of the flight too). Two, you ask? Yup, that’s right. There was of course the real deal Portland Mayor, Sam Adams. But he was joined in the cushy first class cabin by his fictional counterpart from the hit cult TV show “Portlandia” by actor Kyle MacLachlan. Shortly after the doors closed, all aboard were treated to a special presentation of the show, piped in throughout the airplane via their exceptional RED entertainment system (see our review here). Once the show ended drinks and snacks were served. Folks milled about the cabin sharing the in the excitement amidst “Portlandia” themed trivia questions while trying to catch glimpses of the VIPs up front. The flight flew by — it was only a brief one hour twenty minutes — and it felt as though we had barely been airborne when the captain announced that we were on our final descent. Normally this would be the end of the show, but not with Virgin. After landing, we were greeted by a water cannon salute. But the real kicker was deboarding straight to the tarmac down a red carpet lined with smiling faces – and adult beverages of the bubbly variety. The post-flight party, held at PDXs Atlantic Aviation hangar, was packed with folks from the flight in addition to Portland based media and guests. Not letting an opportunity to impress pass by, the event was lavishly outfitted with a fine selection of beverages (virtually anything you could imagine) and fare. DJ AndrewAndrew spun tunes, many of which were selected by the partygoers themselves via interactive iPad sessions, while other guests had novelty photos taken by a photographer set up in the back. 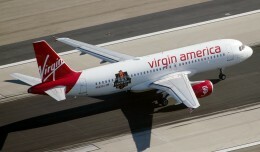 Once again, Virgin set out to impress and managed to pull off yet another fantastic start to yet another route. 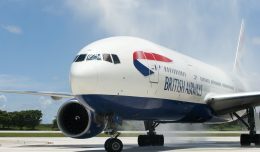 The next route up is the hotly anticipated and fought for Reagan National service, and there are rumors flying (pun intended) that VX has something a bit more…tropical in mind for the future. We’ll stay tuned.